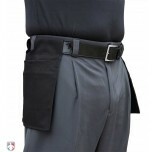 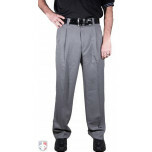 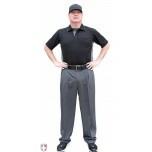 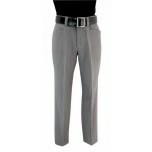 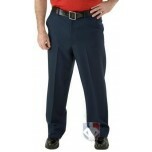 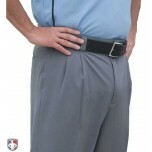 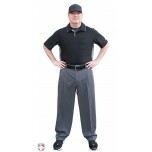 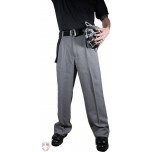 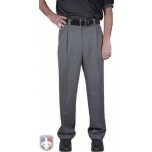 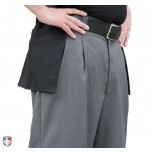 The standard baseball umpire pants are pleated in heather gray or darker charcoal gray. 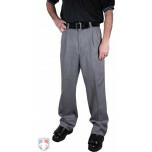 Navy and flat front umpire pants as well as shorts are typically reserved for softball. 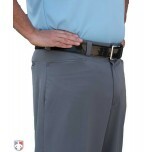 Look for 2-inch expander waistband in several polyester and charcoal grey poly spandex pants or true-to-size poly wool or poly spandex pants. 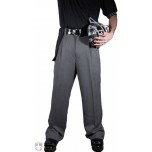 We recommend separate plate and base pants for the best on-field look. 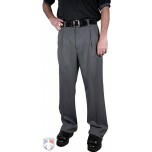 However, to save money, you may consider a combo pant that is a hybrid plate/base pant with features of a plate pant with a narrower fit in the lower legs than plate pants but wider than base.